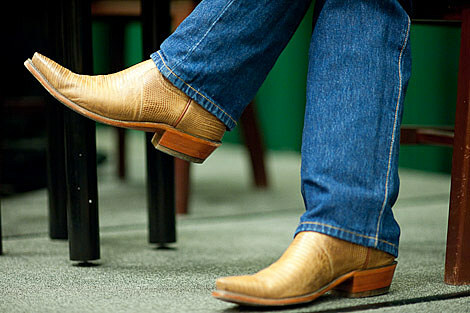 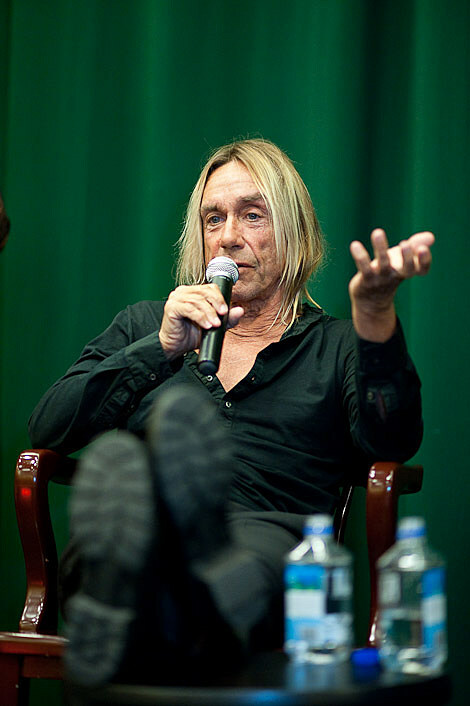 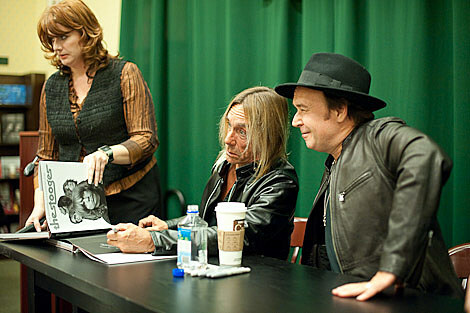 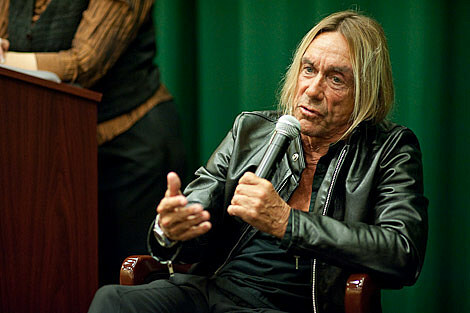 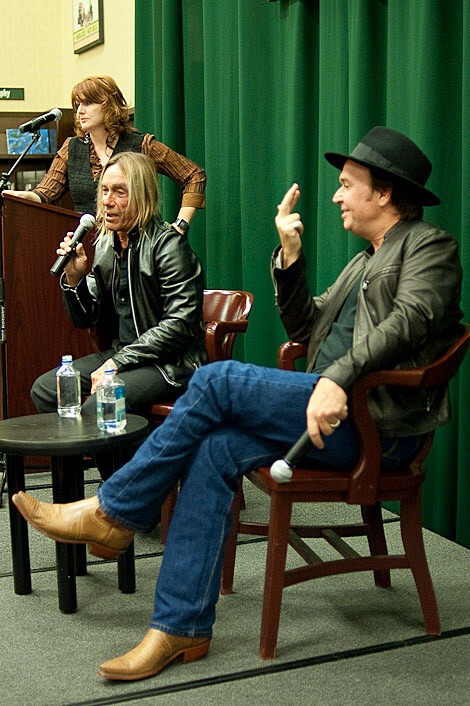 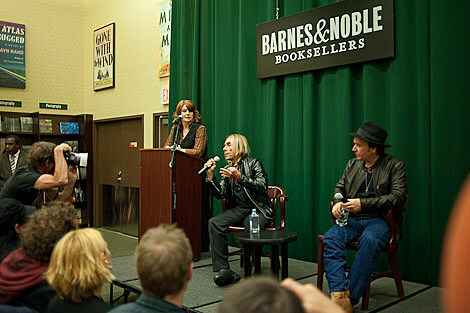 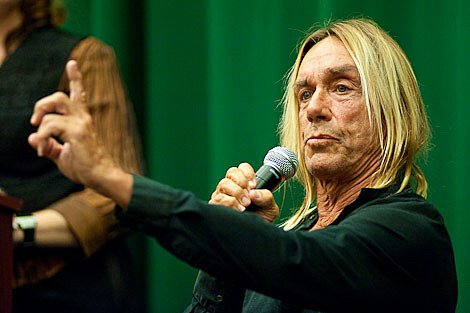 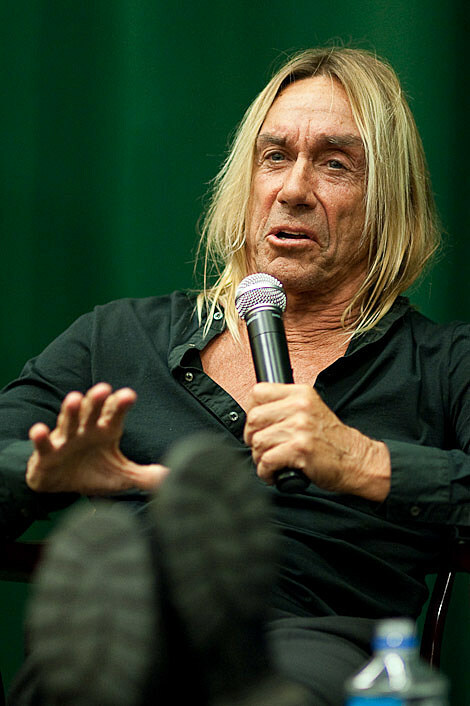 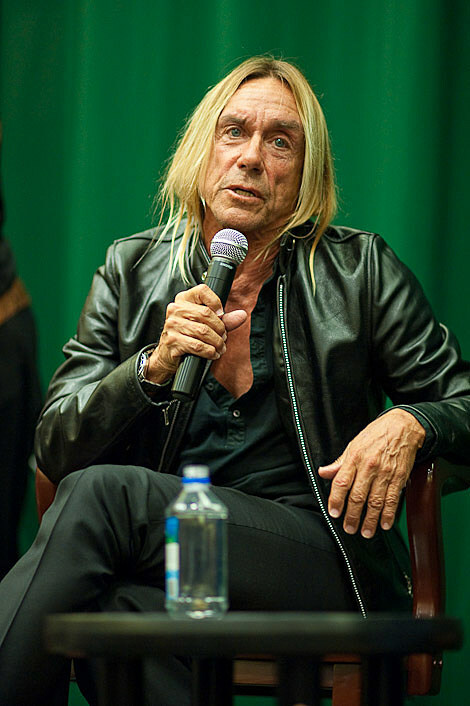 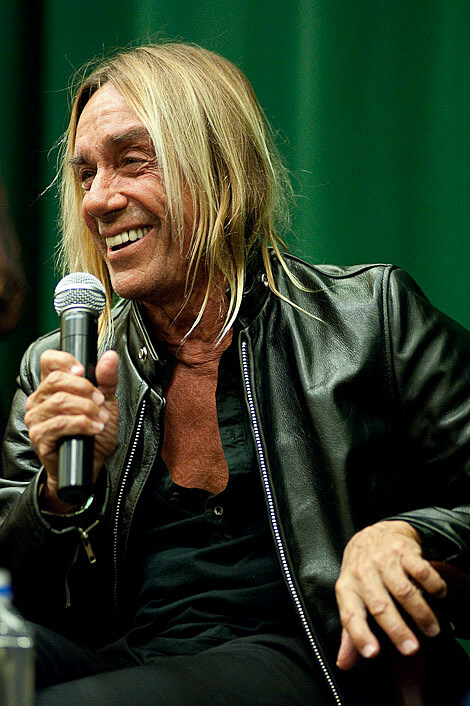 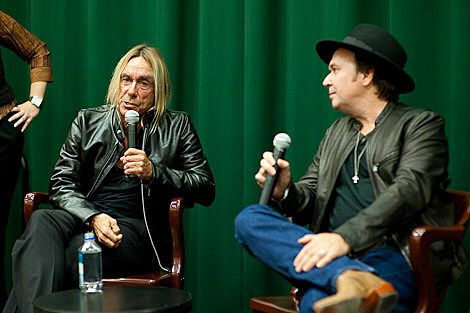 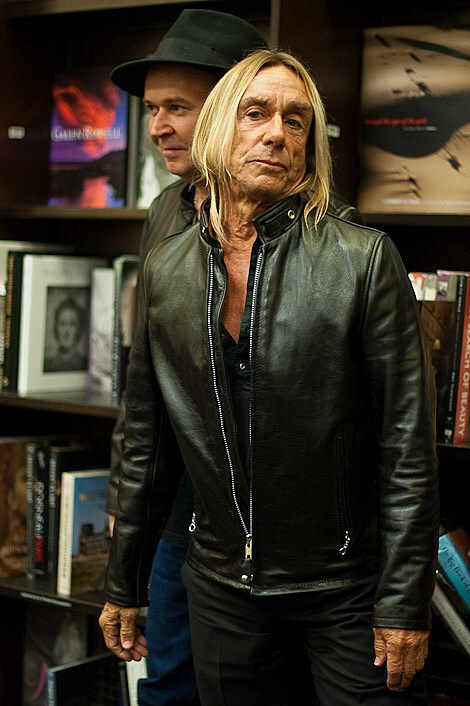 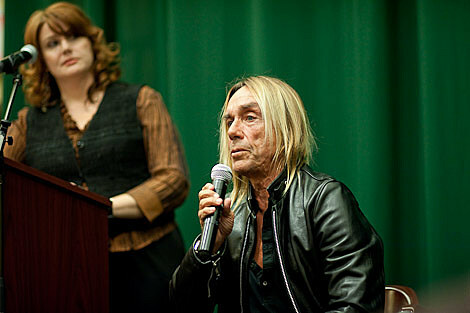 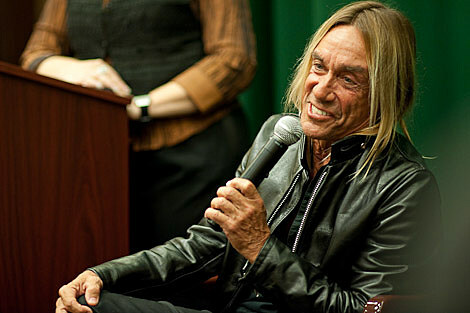 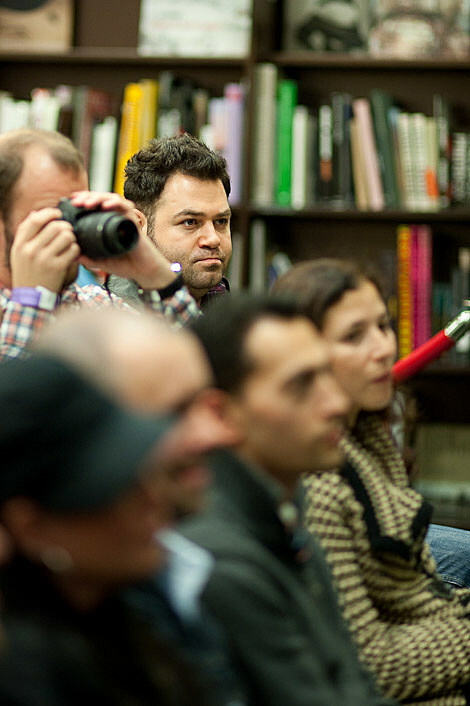 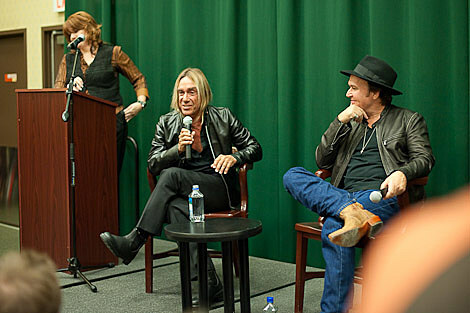 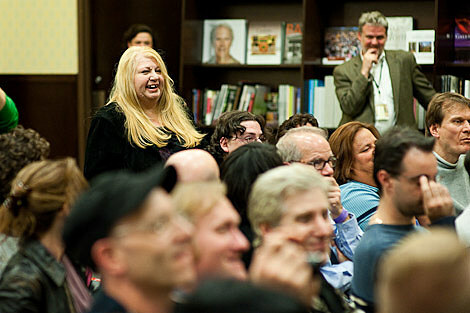 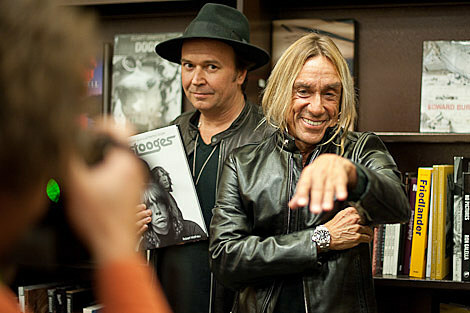 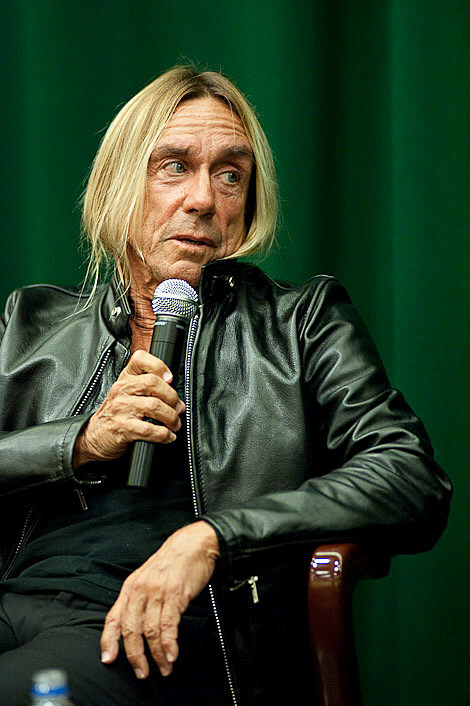 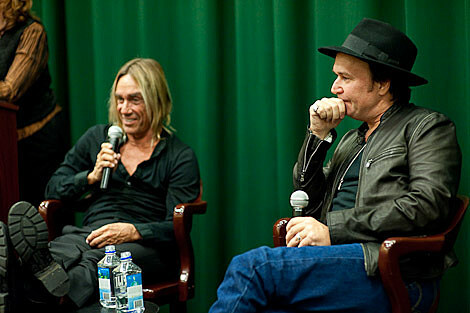 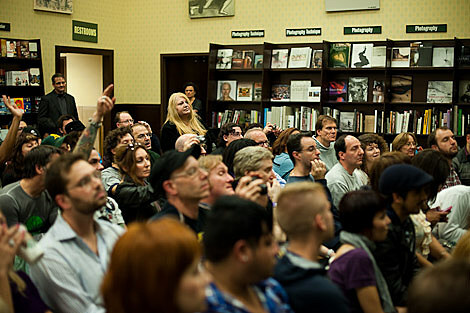 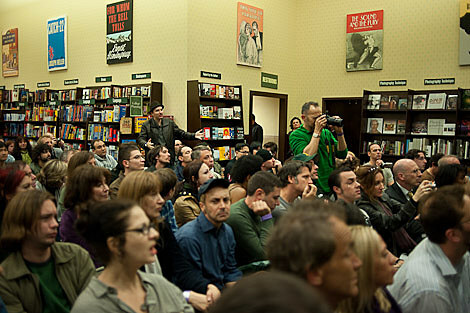 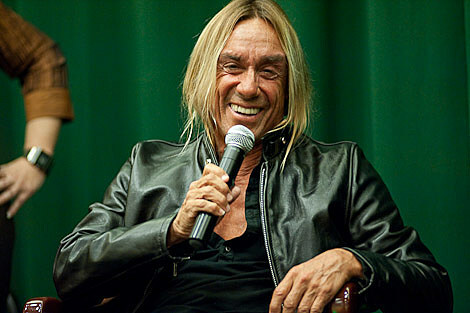 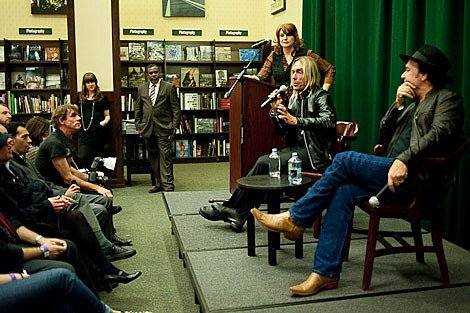 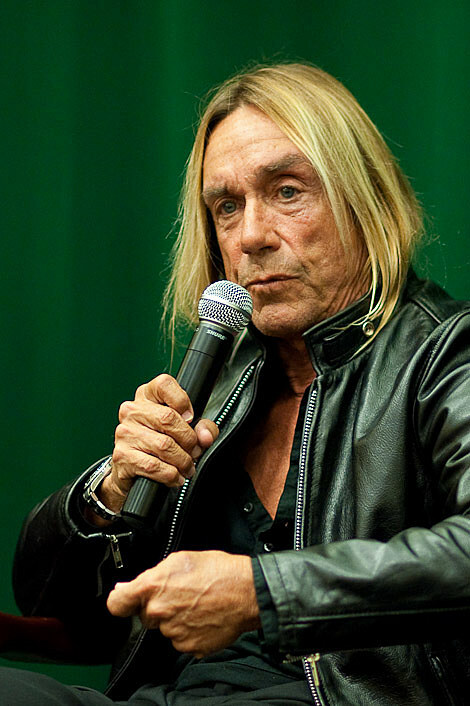 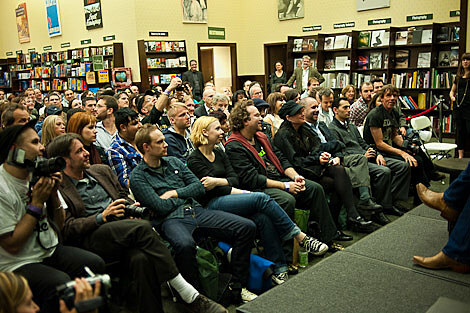 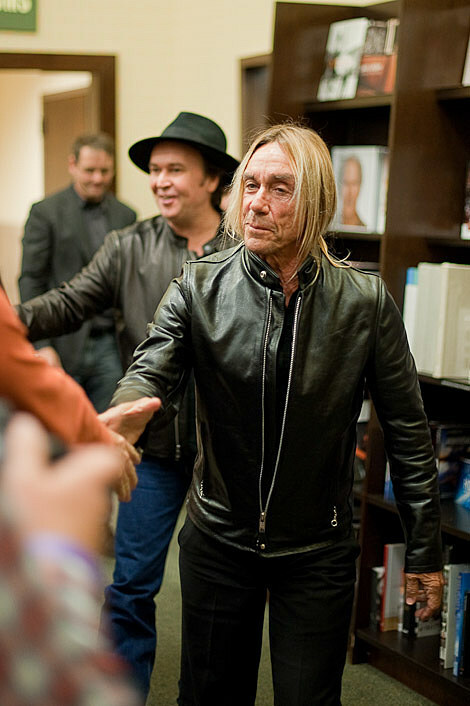 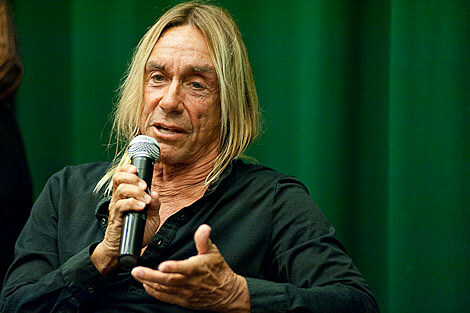 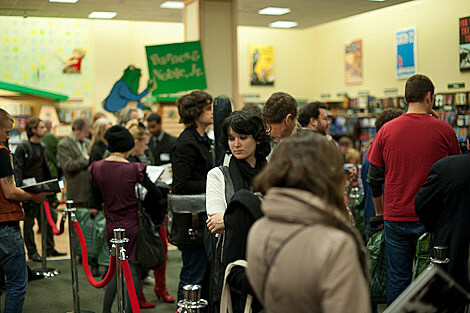 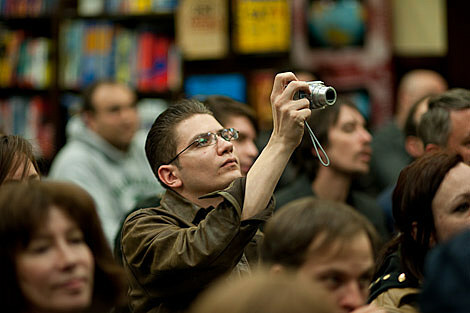 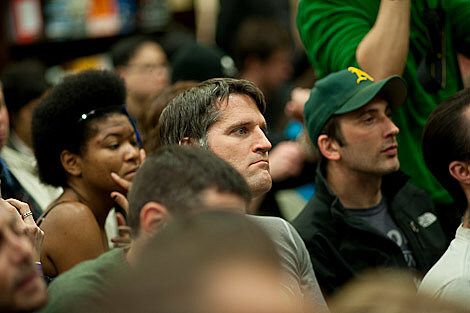 Iggy Pop spoke @ Barnes & Noble in Tribeca (pics), performing Raw Power @ ATP NY in 2010! 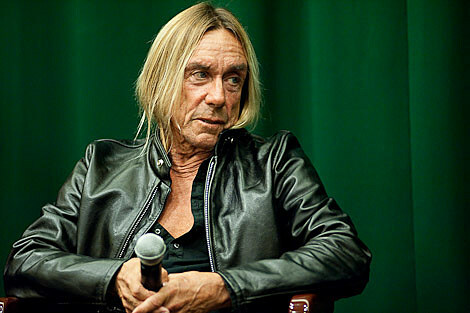 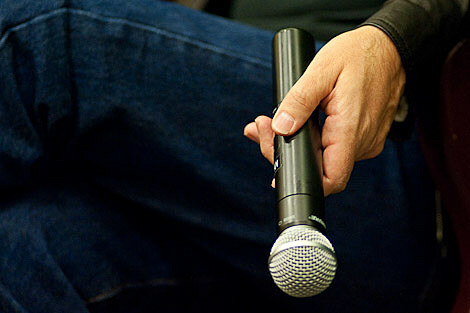 Yesterday I wrote that “Iggy Pop, as well as Pavement (who are curating the other ATP UK weekend in May), are both rumored to be in the running for ATP NY in 2010.” An hour later a commenter wrote, “heard the interview. 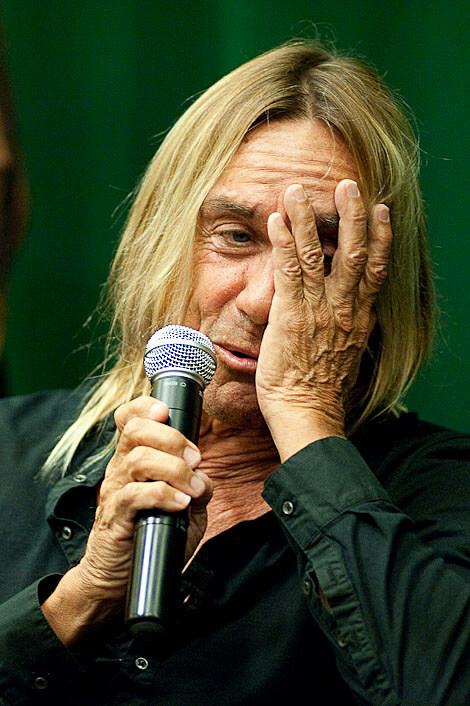 iggy said they would be doing raw power upstate new york for atp next september…woops!!!!! 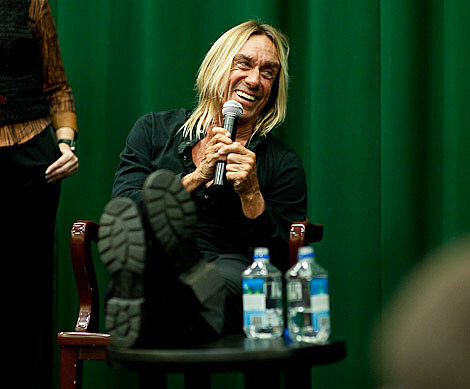 !” A few hours after that, Iggy confirmed it while speaking at the Barnes & Noblie in Tribeca! 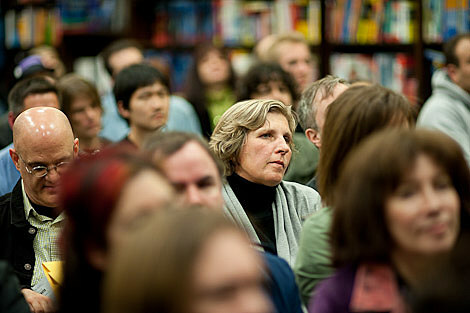 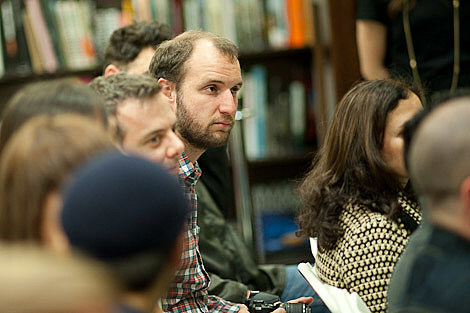 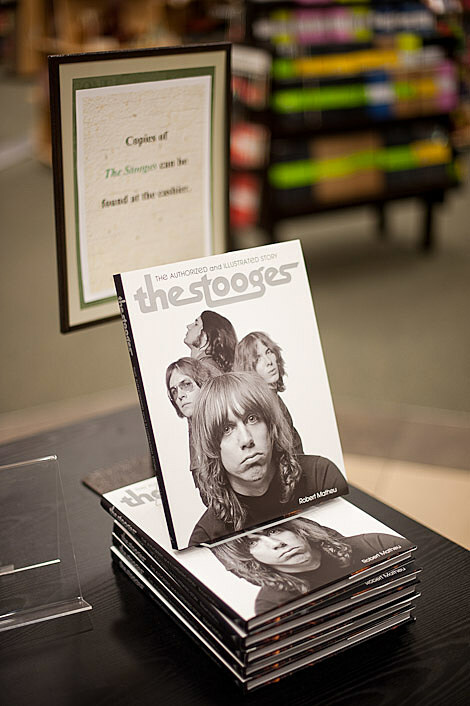 The NYC bookstore appearance was set up to promote a new book about The Stooges. 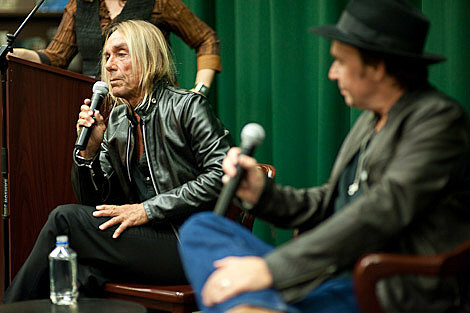 Iggy joined author Robert Matheu who opened the night by talking about how he made the book, and how long it took him to secure 20+ year old images and negatives from photographers. 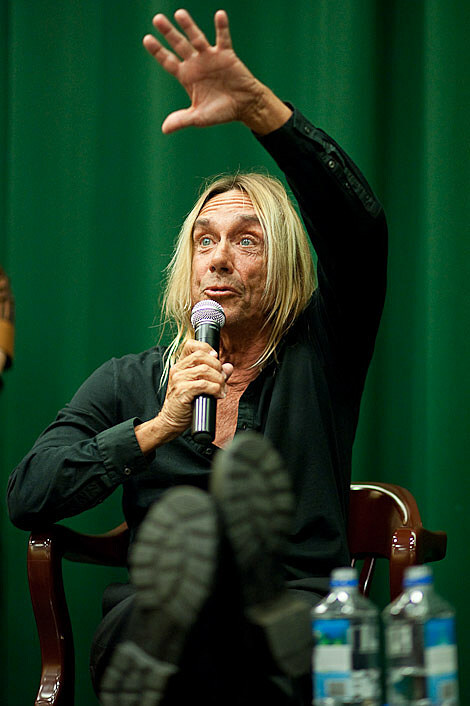 Iggy did a lot of talking and they answered a lot of questions. 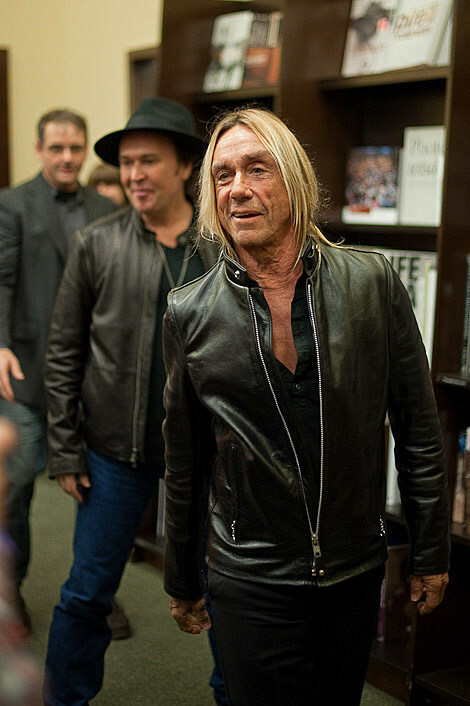 Tim says, “He was asked about music that influenced him, and cited many types of music from Stravinsky and Dvorak to chanting to the Doors and and Louis Armstrong.” Afterward they stuck around and signed autographs. 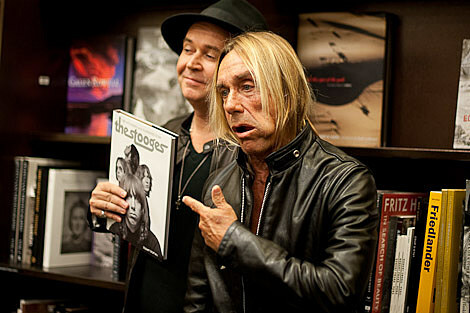 “Asheton, whose brother Scott is the Stooges drummer, died of a heart attack in January this year. 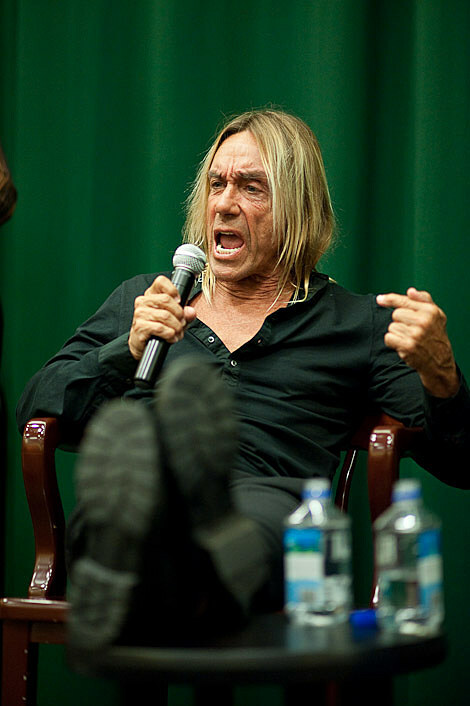 Pop, 62, told The Australian [in May] that he had plans to re-unite with the remaining Iggy and the Stooges line-up, with noughties Stooges addition Mike Watt on bass. 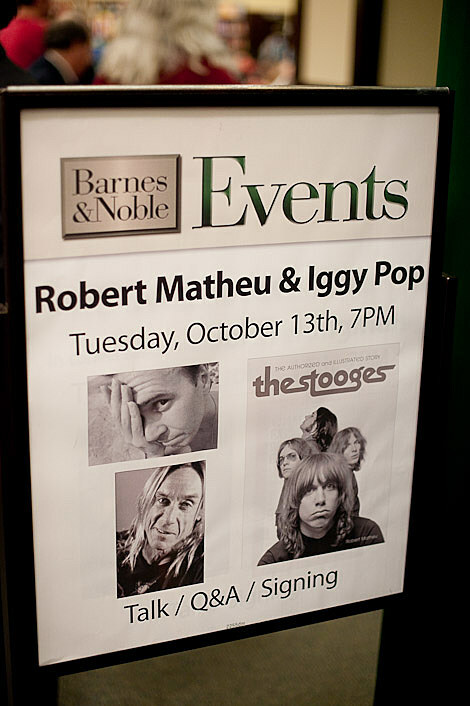 Pop said that while the original Stooges ended with Asheton’s death, “there is always Iggy and the Stooges, the second growth of the band”. 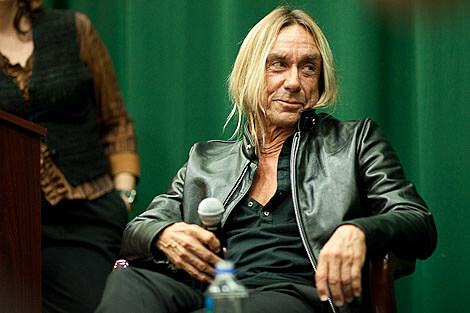 The landmark album, mixed by Pop’s friend David Bowie, has been cited by Nirvana’s Kurt Cobain and many other rock stars as their favourite album and is considered one of the most influential in rock history, despite the fact that it sold so poorly on release. 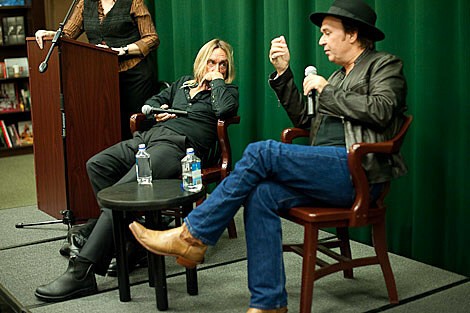 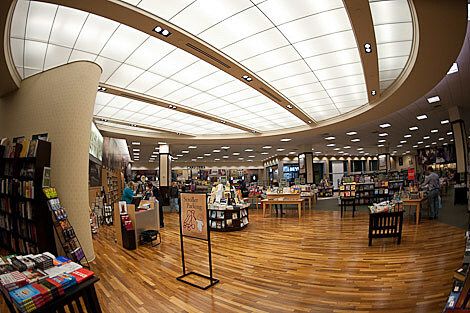 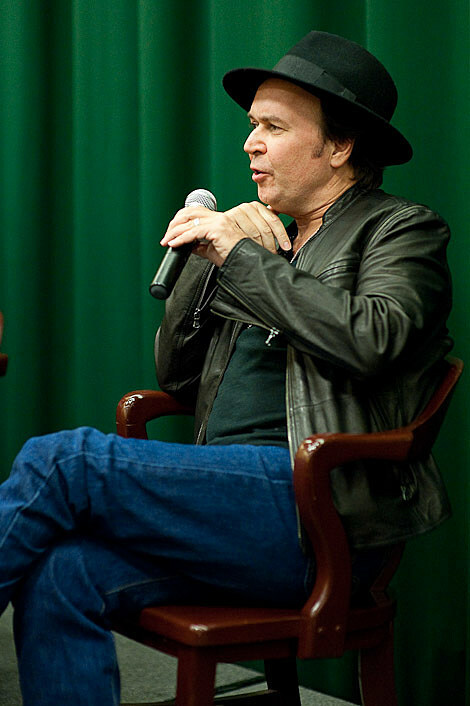 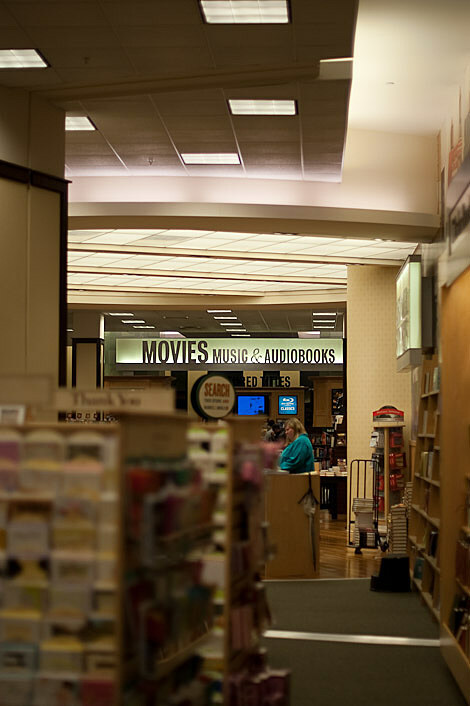 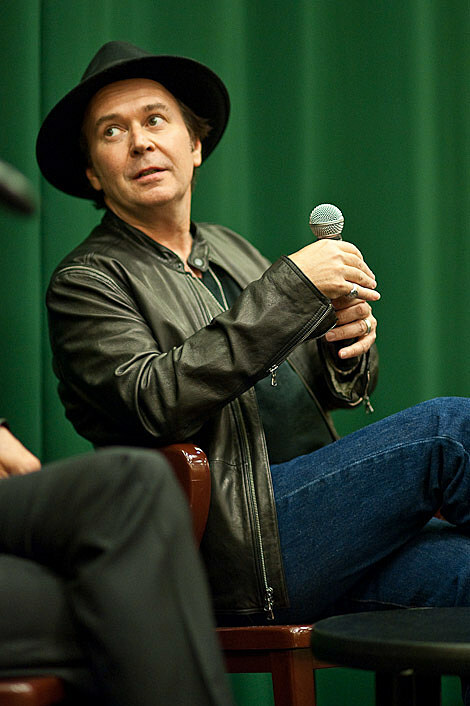 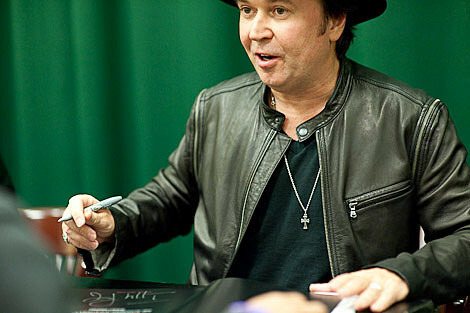 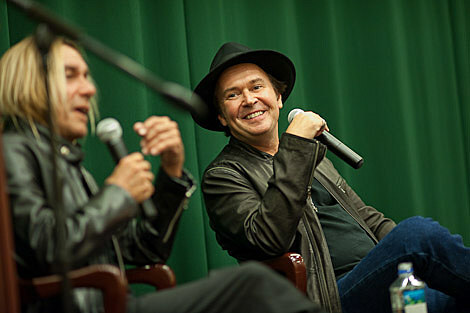 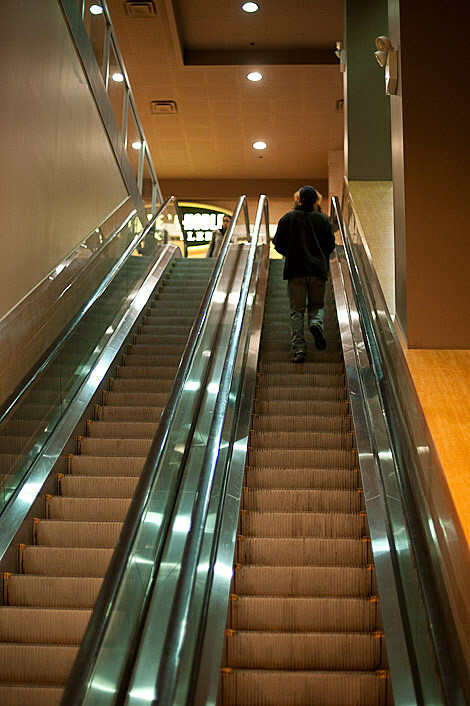 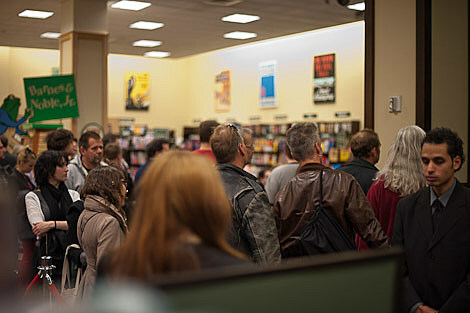 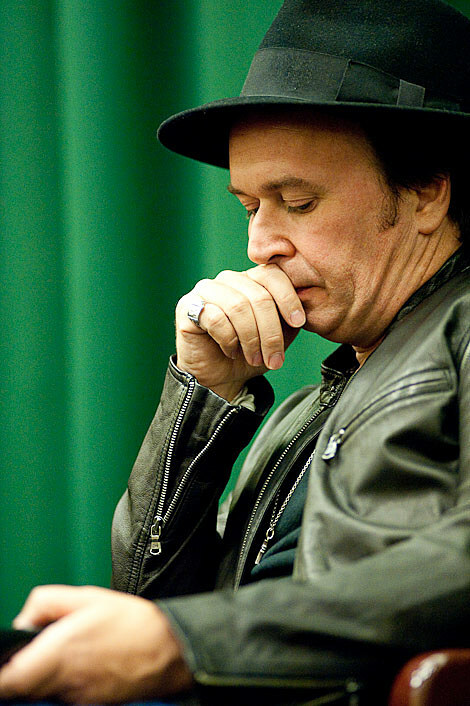 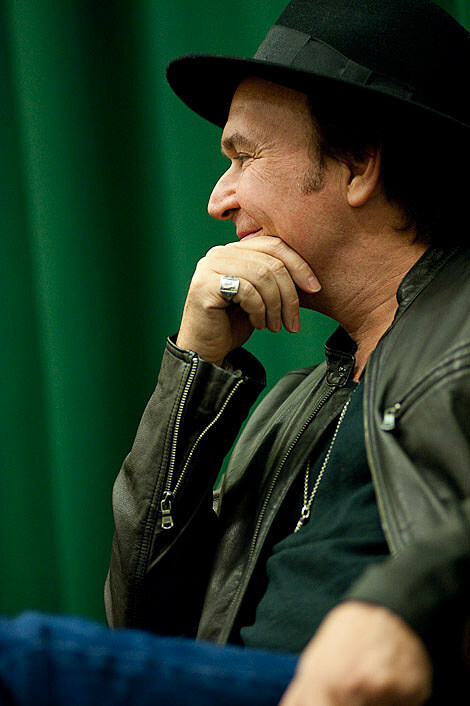 More pictures from Barnes & Noble below….